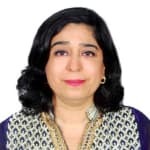 Dr. Bhavna Barmi’s philosophy is to try to “reach, assist and care” by providing solutions to all psychological problems with utmost satisfaction. Doctor has helped numerous patients in her 20 years of experience as a clinical, child and organizational Psychologist. Doctor has completed M.Phil and Phd in clinical psychology. Don?t wait in a queue, book an instant appointment online with Dr. Bhavna Barmi on Lybrate.com. Find numerous Psychologists in India from the comfort of your home on Lybrate.com. You will find Psychologists with more than 41 years of experience on Lybrate.com. Find the best Psychologists online in jasola. View the profile of medical specialists and their reviews from other patients to make an informed decision. What if you move on and claim your freedom? most of the time we are stuck because we feel secured in known environment and feel scared to venture the unknown. Deal with your insecurities and concerns and claim your freedom. I have problem in my concentrating power, when I learn something I cannot concentrate on that so what can I do for that problem. Hello, take bacopa monnn. 1x, 2 tabs twice daily. Do meditation for half an hour in the morning daily. Revert me after 1 month. Between me and my wife relations are too weak, she don't love me, how can I resolve this dispute. Expectations about love and display of the same can vary from person to person. You may consider a certain behaviour as love, your wife may act in ways that according to her could be love. If she has said she does not love you then its another matter. But if you are assuming that she does not love you, then there seems to be a communication gap between the two of you. Take some time out with only her and and explore things that she likes/dislikes. Share what you like/dislike. Talk to each other about your feelings and expectations etc. In doing so do keep respect towards each others preferences and arrive at activities you both enjoy together or do not mind doing together. Have fun and do not be too serious or judgemental. Be flexible. Increase your horizon of acceptance towards each other. Remember both of you are from different family systems with different views of everything, you can use this as a mode of self growth and in doing so both will grow as individuals and as a couple increasing your bond and understanding. If you still find difficulty in bonding then go for couple counselling and with help of the counsellor, find your life together. All the best! It's clear that estrogen is closely linked with women's emotional well-being. Depression and anxiety affect women in their estrogen-producing years more often than men or postmenopausal women. Estrogen is also linked to mood disruptions that occur only in women --premenstrual syndrome, premenstrual dysphoric disorder, and postpartum depression. Exactly how estrogen affects emotion is much less straightforward. Is it too much estrogen? not enough? it turns out estrogen's emotional effects are nearly as mysterious as moods themselves. I am scared of driving a car. I have a fear of running a car over someone. Even when I sit beside my family member who is driving a car I feel the same fear that they run the car over someone. However when I am in taxi or with a friend who is driving a car I don't feel any fear irrespective how fast the car is running. I want to drive, how should I get over the fear of running over somebody? Hllo sir/maam When ever some one scolds me or some one says something to. Meri aakh main jaldi se ache nikal jati hai and I use to feel it very fast as my heart is break. And after that my temper becomes high. Jaldi se gussha aah jata hai muje. Feel kearney suru ho jata hue. Like gf has given break up to me some how like that. Is this a problem or what. Hi lybrate-user, I suggest you to speak to a good counsellor and tell your problem in detail. I suggest you to take a few counselling sessions, which will help you out a lot on working on your emotions as Meanwhile: Practice deep breath Eat healthy. (leafy vegetables, walnuts, fresh fruits, Jucies) Walk in greenery Laugh out with friends All the best Archana Narwani. GREETINGS My age is 48 years old male guy, a vegetarian with no habits of drugs and alcohol. I am having a low back pain on my right side hip only after flat sleep relaxation. Especially while wake up. After that the pain disappears. The pain occur even during noon relaxation for a period of 20 to 30 minutes. Other than this body condition is normal without diabetics, bp and other diseases. Request to suggest to what to with this problem. Thank you. This treatment is being suggested on bases of the information provided. I would like to examine & investigate you in detail. Any way it may be tried, --. Dolokind Plus (Mankind) [Aceclofenac 100 mg +Paracetamol 350 mg 1 tab. OD & SOS. X 5 days. --. Caldikind plus (Mankind) 1 tab OD x 10 days. (You may need help of your local doctor to get these medicines.)--. Fomentation with warm water. Avoid direct flow of AC or Cooler. --. Sleep on a hard bed with soft bedding. --. Use no pillow under the head. --. Avoid painful acts & activities. -- .Do mild exercises for Back. Do not ignore, let it not become beginning of a major problem. Do ask for a detailed treatment plan. If no relief in 2-3 days, contact me again (through this platform only) Kindly make sure, there is no allergy to any of these medicines. (Contact your family doctor, if needed). For emergency treatment visit nearest hospital. I hope, I have solved your problem to your satisfaction. Kindly rate the answer.Wish you a quick recovery & good health. I have recently started with my job, 2 months back and in the starting I was stressed because of work so I wasn't able to sleep at nights but now from last 15 days I am not stressed because of work but still I am not able to have a relaxed sleep. The whole night, I keep working in my dreams, I mean I keep doing the same work which I do in office and when I wake up I do not remember much about it and I feel tired. I get up minimum 7-10 times at night to see the timing. I tried listening to meditation music before sleeping but nothing is helping. You are definitely under some stress and it si probably related to your work. It may settle on its own over time. But not getting enough sleep is bad medicine. So I suggest you do some of the following even if you have tried some of them: The lack of sleep, i.e. Sleep for less than 6 hours per night, is directly linked to about 86 diseases! So let us first focus on that. In your case particularly, do not sleep during the day; don’t even lie down. Go for regular exercise (breathing through your nostrils only) at a fixed time (at about 6 am) every day, whether you sleep or not. You must develop this habit of sleeping by 10 pm latest every night and wake up at a uniform time by 6 am every morning, even if you do not get sleep. If you do not get sleep, just lie down and if you have a bed lamp (or you could get one) lie down and read something light but not exciting. Your eyes will tire and you will fall asleep. If you like you may also put on light and soft music with the sleep function on. Depending on whether you are a visual or auditory person, you may watch TV in a lying down position until you feel sleepy. Have a warm bath before going to bed (for some people a cold bath at night seems to induce sleep! If you are one of them, please do so). Place the head side of your bed in a North-South position. The room must be as dark as possible and there should be no electronic items that give off even a light LED glow. There must be ample ventilation in the room. Avoid strong odors, except lavender, on your body or in the room, or on your sheets and clothes. There should not be any live plants in your bedroom. Sleep with the lightest of clothes or without any clothing. When lying down to sleep, lie down on your left ear as much as possible. Do not sleep directly under an overhead fan. You must eat a good breakfast, a fairly light lunch, and an early dinner, which should be a very light meal. Whatever you eat in the other meals, have only a pure carbohydrate meal at night with any vegetables, and preferably before 8 pm. Do not drink much liquids after or near about dinner time. When lying down to sleep you may use the 4-7-8 breathing pattern of sleep inducement i.e. Breathe in for four counts through your nostril only, hold for 7 counts, and exhale with a whoosh sound, through your mouth only, for 8 counts. Repeat this four times in the morning and just before you sleep at night. If you know Emotional Freedom Technique or EFT (check this out either on YouTube or Google), then please practice this too for sleep induction. Self-hypnosis and slow relaxation techniques, at night will be tremendously useful. Acupuncture or acupressure will both be very useful too. Pray last thing at night before you sleep. Hello I am currently a student of class 12 and I am suffering from depression (past 6 years) ,bipolar disorder,acute loneliness.Could someone please help me out?i have also been pursuing counselling for past 6 years bt i find no change.I don't know how long I can take it more. Please help me out! First be sure that it is bipolar depression or unipolar depression. Than let me know ur current treatmemt. Hi, If I am a smoker since last 15 years and Smoke nearly 4-5 cigrets daily. I want to quit but after 3 -4 days I again start. Is my lung affected due to the same. What should I do to clean my lungs.